MI Windows And Doors manufactures aluminum, composite and vinyl replacements as well as new construction. The company now manufactures CertainTeed and several sub brands (BetterBilt, Capitol and Xact), which are now being marketed simply as MI Windows And Doors. There is no doubt that MI produces lots of vinyl, composite and aluminum windows. They have been manufacturing since 1947 and have plants in numerous parts of the U.S. Over the years, the company has purchased numerous brands (BetterBilt, Capitol and Xact) as well as their factories and manufacturing capabilities. Not really known as a high end manufacturer, the company builds lots of builder grade quality products. MI owns numerous brands such as Xact that are mostly low end builder grade quality – think $250 installed. They also own CertainTeed which sells custom work for $750 per window installed. On average, consumers will pay between $250 and $650 for MI installed. For more detailed prices from past customers, see MI windows prices. 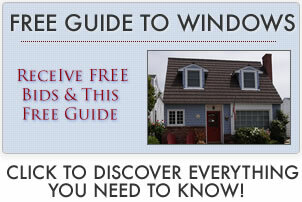 The following window styles are available for both residential new construction and replacements. Read consumer and industry insider opinions on this company’s products on our page for MI windows reviews. The following window styles are available for both commercial new construction and replacements. The following window styles are available for both residential new construction and replacements. The company offers a limited lifetime warranty. There are a number of exclusions on the warranty that need to be examined and understood by homeowners so they properly understand what issues will be covered and which will not.